The largest text communication app, WhatsApp, added the Status feature in February to take on Snapchat stories. The company only added a few stickers to play around with photos, despite Instagram adding photo filters a month back. WhatsApp has now improved these features and brought a fresh update to iOS. 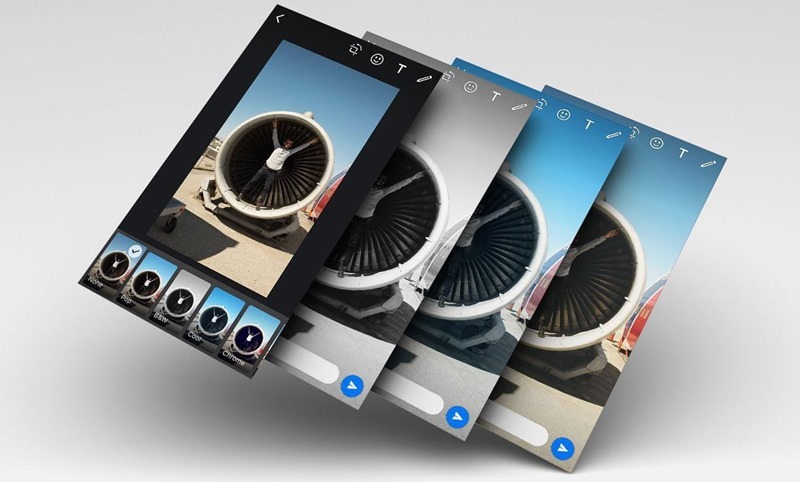 The latest update on iOS has received three new improvements – 5 new colour photo filters, clubbing on photos shared to create an album and simple swipe to reply to a text feature. The status feature now gets five new filters for users to play around with – pop, black and white, cool, chrome, and film. Even the WhatsApp camera gets these same features so that you can improve the photo using these filters within WhatsApp itself. These filters can be applied to videos, photos and GIFs as well, from within the camera app in WhatsApp and the photos can be shared with anyone in your contact list. You can also edit the files that already exist on your smartphone, and update them with these filters. At the moment, WhatsApp had a reply to a specific conversation option by holding pressing on the conversation and select reply on the top. Now, the company is making it easier by swiping on the specific part of the conversation and replying to it altogether. This makes it easier on large phones since it is difficult to reach to the top of the display. I have been hoping for such a feature for very long time, and soon it is going to be available to everyone on the platform. Finally, WhatsApp has added the ‘Album’ feature, that quickly clubs more than four photos into an album. This way you can view the photos is a tile fashion. The only reason to release this feature was to just view the photos together and know which ones have been sent together. Also, sometimes photos, on after the other, tend to come in the way of chat thread. Thus this new feature will de-clutter your chat and help you continue your conversation. These updates are available on the iOS starting today. WhatsApp will be releasing the same on Android very soon, but there is no specific timeline for the same. This brings the company’s features very much in line with its siblings, Instagram and Facebook. The major feature we’re still waiting for is editing or revoking messaging on the app and this will be one of the largest updates for the people using it. "WhatsApp Brings Photo Filters, Image Album Creation and Swipe-to-Reply Features in its Latest Update! ", 5 out of 5 based on 2 ratings.